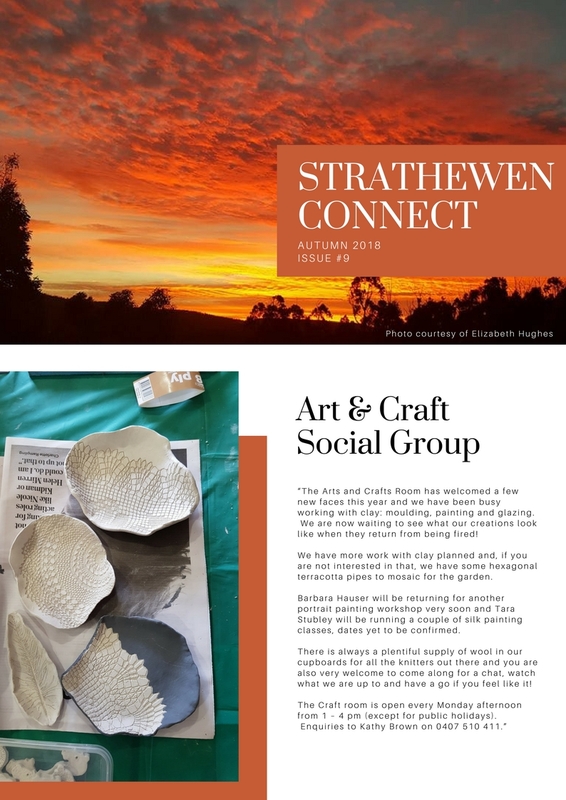 Click on the thumbnails to view the Strathewen Connect newsletters. 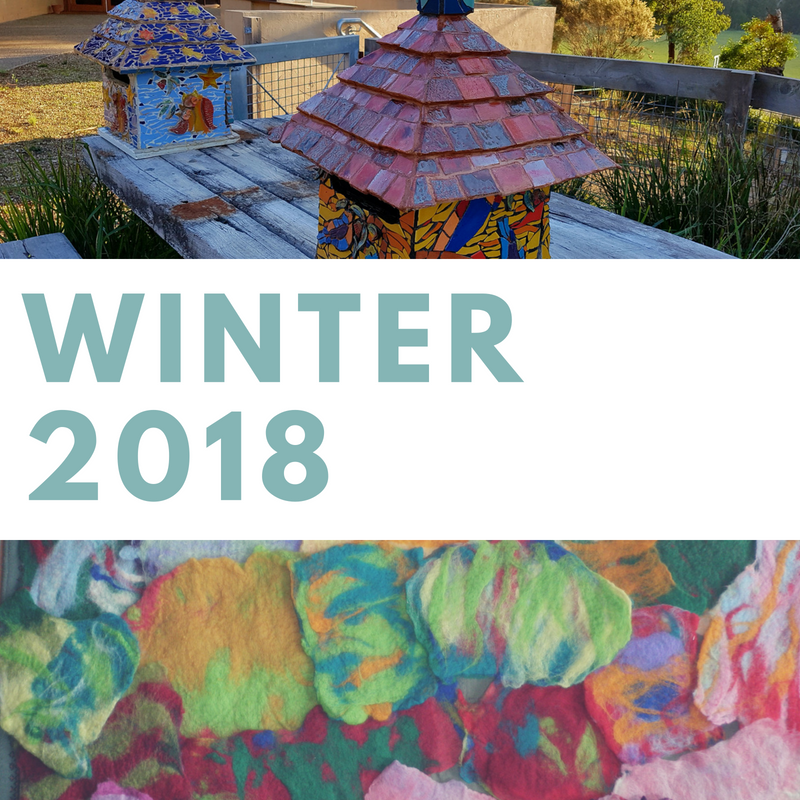 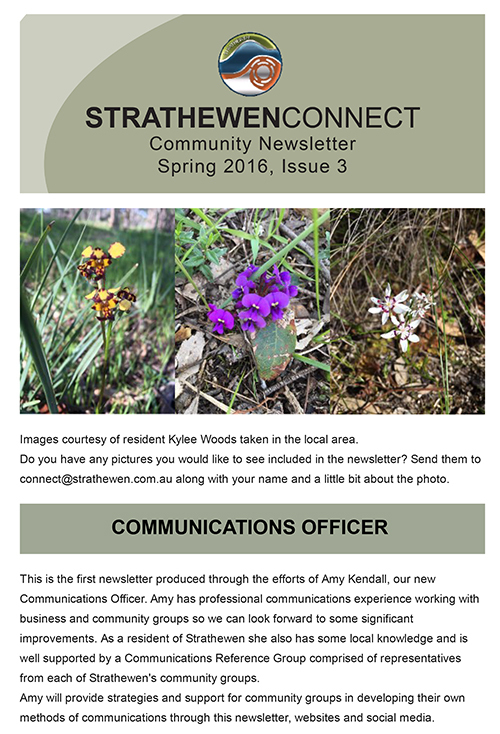 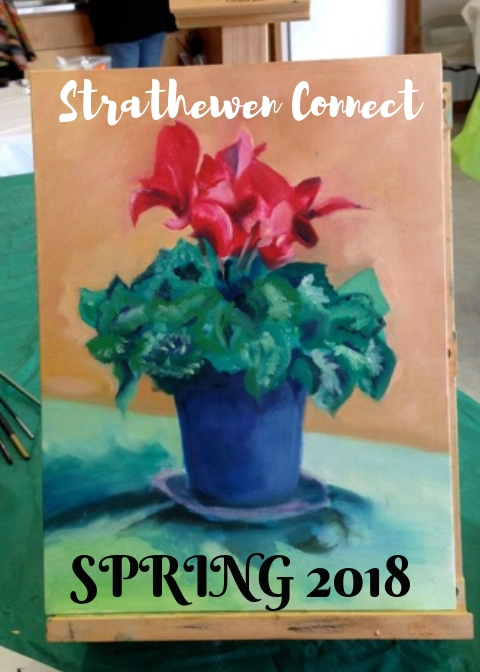 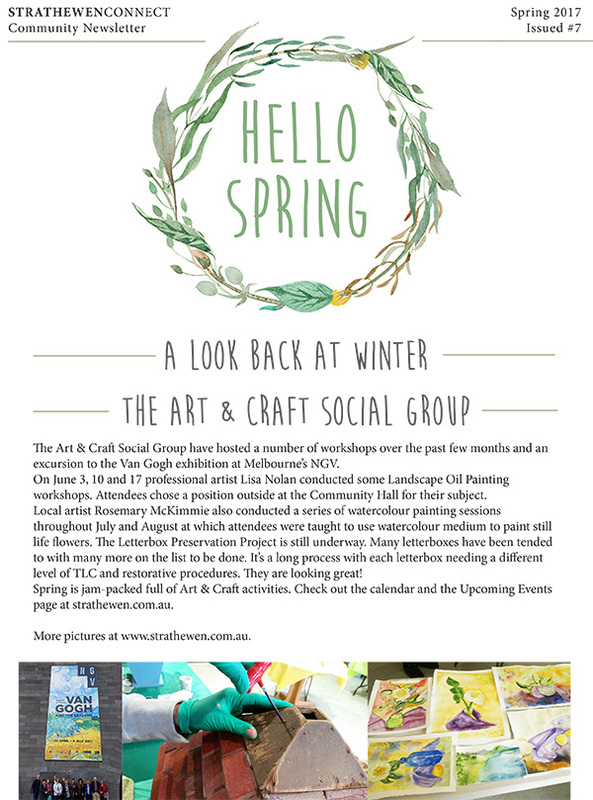 Strathewen Connect publishes a newsletter on a quarterly basis. 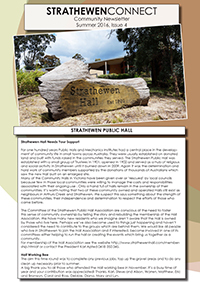 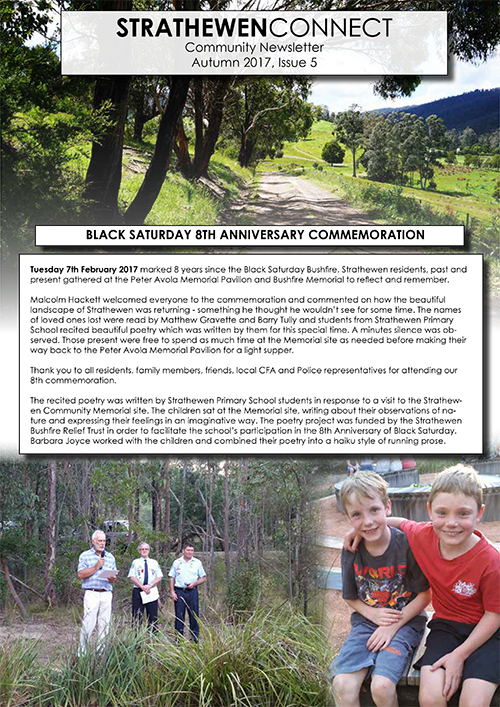 All newslettters are distributed to local letterboxes and emailed to all those on the contact list. 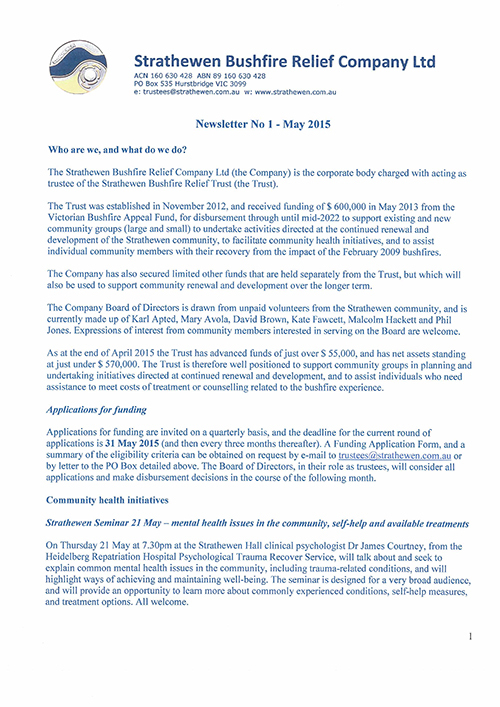 If you have a contribution for the Strathewen Connect newsletter, please email us. 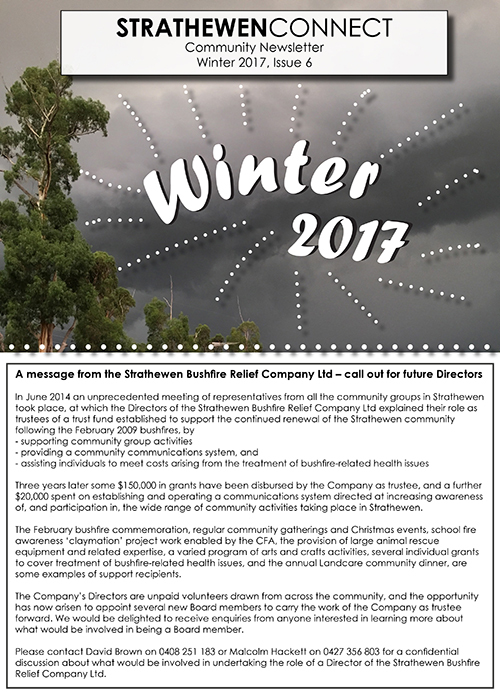 Like to receive a copy? 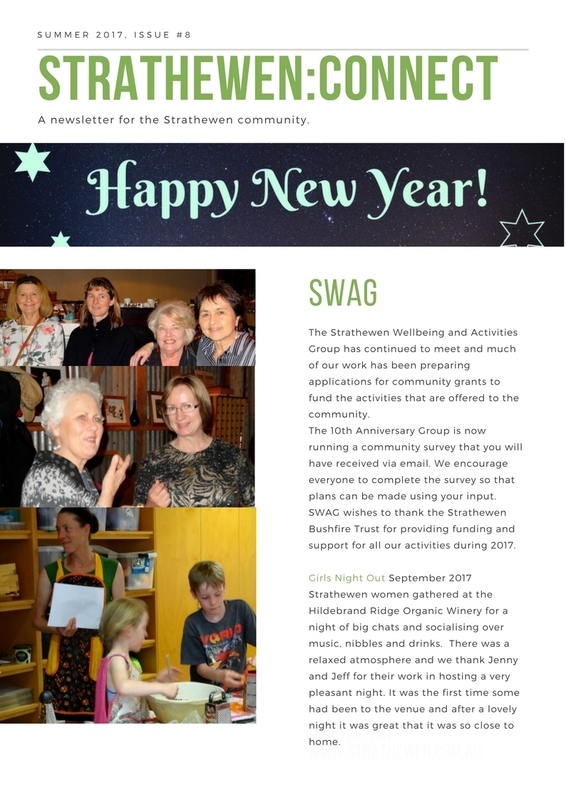 Please complete this form and we will send you future newsletters direct to your inbox.